In a major medical breakthrough, Tel Aviv University researchers have printed the world’s first 3D vascularized engineered heart using a patient’s own cells and biological materials. Their findings will be published today, April 15th 2019, in a study in Advanced Science. 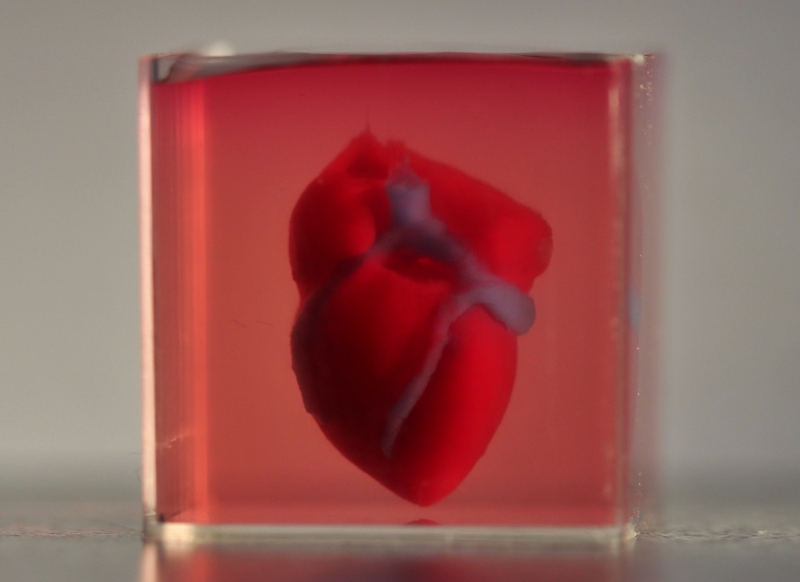 “This is the first time anyone anywhere has successfully engineered and printed an entire heart replete with cells, blood vessels, ventricles and chambers”, says Prof. Tal Dvir of TAU’s School of Molecular Cell Biology and Biotechnology, Department of Materials Science and Engineering, Center for Nanoscience and Nanotechnology and Sagol Center for Regenerative Biotechnology, who led the research for the study. “This heart is made from human cells and patient-specific biological materials. 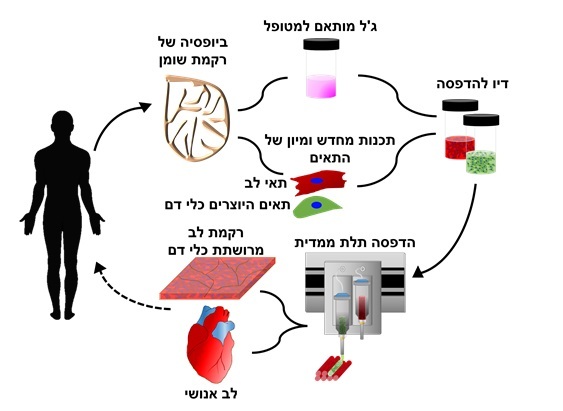 In our process these materials serve as the bio-inks, substances made of sugars and proteins that can be used for 3D printing of complex tissue models”, Prof. Dvir says. “People have managed to 3D-print the structure of a heart in the past, but not with cells or with blood vessels. Our results demonstrate the potential of our approach for engineering personalized tissue and organ replacement in the future”. 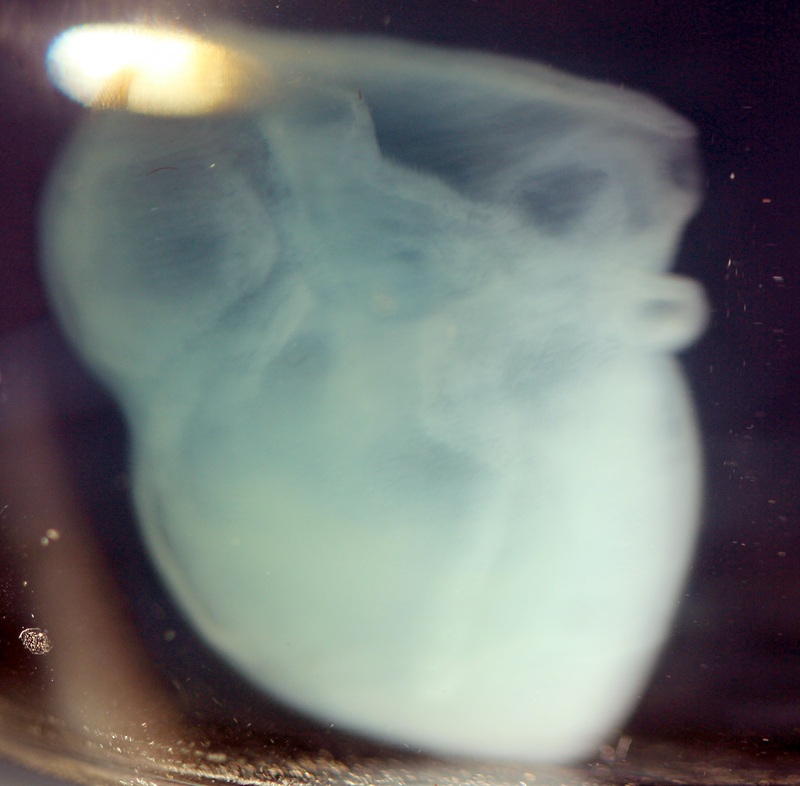 “At this stage, our 3D heart is small, the size of a rabbit’s heart”, explains Prof. Dvir. “But larger human hearts require the same technology”. For the research, a biopsy of fatty tissue was taken from patients. The cellular and a-cellular materials of the tissue were then separated. While the cells were reprogrammed to become pluripotent stem cells and efficiently differentiated to cardiac or endothelial cells, the extracellular matrix (ECM), a three-dimensional network of extracellular macromolecules, such as collagen and glycoproteins, were processed into a personalized hydrogel that served as the printing “ink”. “We need to develop the printed heart further”, he concludes. “The cells need to form a pumping ability; they can currently contract, but we need them to work together. Our hope is that we will succeed and prove our method’s efficacy and usefulness. Maybe, in ten years, there will be organ printers in the finest hospitals around the world, and these procedures will be conducted routinely”.